Giggles Printed Bib | Cream | Prevent baby cloth from getting stain. 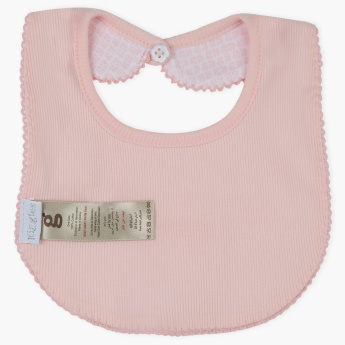 Styled to suit your darling's regular needs, this bib is crafted to keep the mess at bay while feeding. It is soft and easy on the skin and secures easily around the neck owing to the button closure. 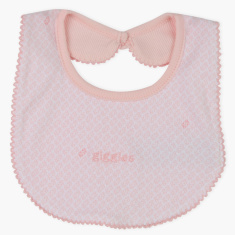 Feature 2 : Snaps closure bibs for easy wearing for your little baby. Feature 1 : Prevent baby cloth from getting stain.